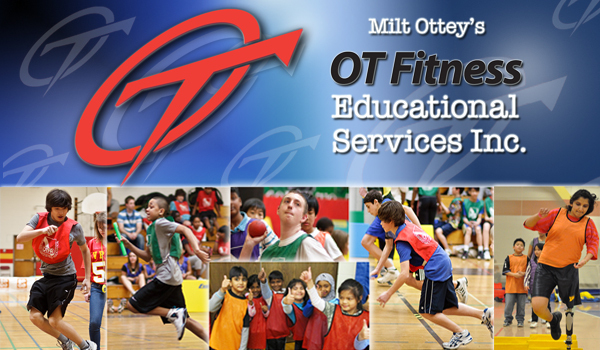 OT Fitness activities give students opportunities to develop these fundamental movement skills, at their own level. The activities are fun and enjoyable, and help students develop positive attitudes towards fitness. The development of fundamental movement skills in association with the application of movement concepts and principles provides the basic foundation for physical literacy. An understanding of fundamental skills and concepts is essential both to an individual’s development of effective motor skills and to the application of these skills in a wide variety of physical activities. Because the development of movement skills is age-related but not age-dependent and because students’ skill levels depend on a variety of factors, including their experiences outside of school, the opportunities they have for practice, their rate of growth and maturation, and their abilities and interests, the range of skills in a typical class will vary widely. Consequently, it is very important to provide choice and flexibility within activities and to ensure that learning experiences are designed to reflect individual students’ developmental levels and adapted to suit learners of all abilities. Modifications should be made as needed to allow students to develop and work towards their own personal level of movement competence. Since the development of movement skills can also enhance students’ interpersonal, cognitive, and emotional development, it is critical that the health and physical education program be inclusive, fully engaging all students irrespective of gender, background, or ability. Without the development of fundamental skills, many children and youth choose to withdraw from activity due to fear of failure, self-consciousness, or lack of ability to move efficiently. During the Kindergarten years, children need to establish a positive attitude towards health, safety, and physical activities in order to build a foundation for lifelong participation in and appreciation for healthy living. This can be achieved by ensuring that opportunities are provided for Kindergarten children to participate daily in a range of engaging, developmentally appropriate physical activities. It is important for teachers to provide students with opportunities to use both large and small muscles in a variety of contexts (e.g., in the classroom, on the playground, in the gymnasium). Young children should be encouraged to work cooperatively with others and to persevere with their own physical activities. Expectations for health and physical activity are organized under two subheadings: Health and Well-Being, and Physical Development and Activity. Because young children learn in an integrated way, these concepts, particularly those related to safety, need to be incorporated into all areas of their learning. Young children need to engage in enjoyable and stimulating learning activities that encourage exploration of their world; promote physical skills; enhance neural processing; and develop a general awareness of their bodies’ needs, limitations, and capabilities. Learning opportunities should take into account children’s interests, prior experience, changing needs, and increasing knowledge in all areas of learning. Young children need to learn to make responsible, informed choices to develop, maintain, and enjoy healthy, safe lifestyles. Kindergarten children will be at varying points along the continuum of development. It is the teacher’s role to provide developmentally appropriate activities for all children in order to ensure their safety and success. It is important that children develop positive attitudes towards and values that promote participation in physical activities. Learning to make healthy choices and participating in daily physical activity will provide young children with a foundation for overall well-being. develop control of large muscles (gross-motor control) in a variety of contexts; develop control of small muscles (fine-motor control) in a variety of contexts. The following are the SPECIFIC EXPECTATIONS from the Ontario Kindergarten Curriculum that have direct connections to the activities of the OT Fitness Kindergarten Challenge. To assist teachers and educators OT Fitness would also like to off free PDF downloads of or lesson plans developed by Eveque. These Lesson Plans can assist teachers in improving student’s movements and core skills. Further suggestions for student learning can be found in the resource book Pacesetter – Working with Young Athletes by George Bunner (ISBN 0-9542412-0-7).